When a suburban couple go camping for the weekend at a remote beach, they discover that nature isn’t in an accommodating mood. 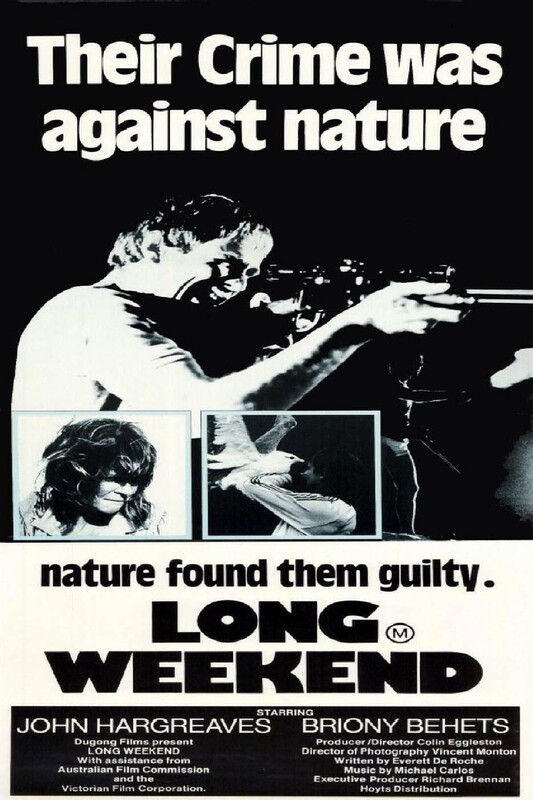 According to executive producer Richard Brennan, four foreign distributors bought the rights to release Long Weekend on the spot at the Cannes Film Festival in 1978 making it the most commercially successful Australian film at the festival. John Hargreaves won the Best Actor award at the 1978 Sitges Film Festival – considered the world’s foremost international film festival specialising in fantasy and horror films. Believe it or not, Hargreaves, who died of AIDS in 1996, was buried with his Sitges award at his request. He also won three Australian Film Institute Awards. Long Weekend was filmed in Bega, New South Wales and Phillip Island, Victoria and shot on a budget of just $270,000. Lead actress Briony Behets worked with director Colin Eggleston on two films – Long Weekend in 1978 and Cassandra in 1987. Eggleston’s last film was The Wicked in 1987. He died in 2002. Behets currently resides in the UK. Long Weekend will screen as part of Australian Revelations on Monday, 26 October at The Backlot Perth, 21 Simpson Street West Perth. Doors open 6.45pm, screening from 7pm. You can purchase tickets here.